From left to right: the late Desmond Lovemore, Bob Drummond (reading from a list of botanists), "Jack" Jaklitsch, and Eva Keller. Hyde, M.A., Wursten, B.T., Ballings, P. & Coates Palgrave, M. (2019). 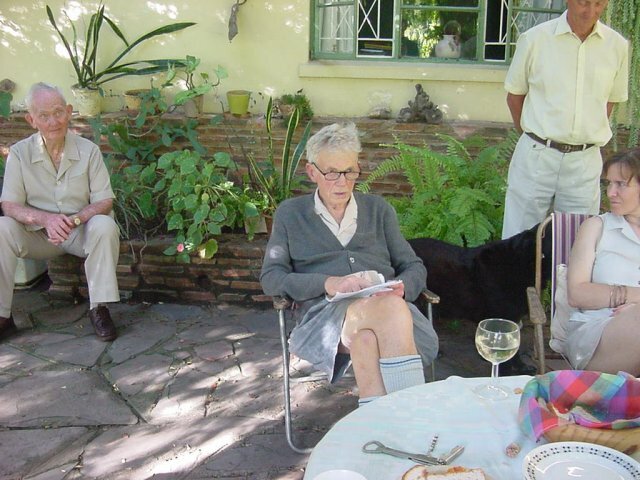 Flora of Zimbabwe: Bob's 80th: image 1.